When dental problems (such as injured teeth, decayed teeth, or even teeth that are lost altogether) strike, it can leave patients struggling to regain a sense of normalcy in their everyday lives. You rely on your smile to function and feel self-confident, and you deserve to regain its former glory as soon as possible – that’s where Young Family & Cosmetic Dentistry comes in. Dr. Dan Young is highly skilled when it comes to restorative dentistry care, and he and the rest of our team look forward to rebuilding damaged tooth structure in a lifelike and durable fashion that you can rely on. Contact our Joplin, MO location today to schedule your first appointment! Over time, your teeth can fall victim any number of unpleasant encounters – they may suffer from cavities, or you may crack the structure when eating a piece of particularly hard food. In these situations and several more, a customized dental crown from Dr. Young can work wonders in helping you regain the strong, healthy teeth you need. This restoration is designed to completely cover the surface of a single tooth, replenishing its appearance, shape, and strength while preserving the healthy tooth structure still hidden underneath. Our Joplin, MO practice is proud to primarily offer metal-free, tooth-colored materials for dental crowns so that patients can enjoy a lifelike appearance. 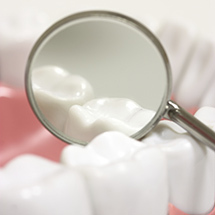 Additionally, crowns are used as an important part of dental bridges. 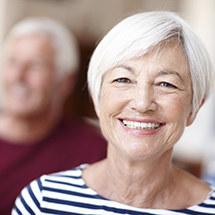 Patients who are unwilling to commit to dental implants but would prefer something more permanent than traditional dentures may find that a custom dental bridge is ideal. With crowns serving as “anchors” fitted over nearby healthy teeth, your new bridge is sturdily kept in place to replace one or more consecutive missing teeth. Implant-retained bridges are also available for even greater oral health benefits! Composite resin can be precisely shaded to match your smile’s natural enamel, resulting in an appearance that’s virtually indistinguishable. The lack of metals in composite resin means that your new fillings won’t react as strongly to cold and hot temperatures, which makes them much more comfortable overall. The flexibility of composite resin allows Dr. Young to preserve more of your tooth’s remaining healthy structure and strengthen it for longer-lasting improvements. 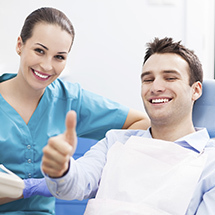 With proper care and maintenance, tooth-colored fillings can last for 10-15 years or even longer. Dentures have been a staple of restorative care for hundreds of years, and there are countless patients today who still rely on their convenience and enduring reliability. Today’s prosthetics are more comfortable and stable than ever before, providing much-needed support and function to mouths that have lost a great deal of teeth or even all of them. Dr. Young offers both full and partial removable models, depending on the extent of your tooth loss. Implant-retained dentures are also available for improved function and longevity. 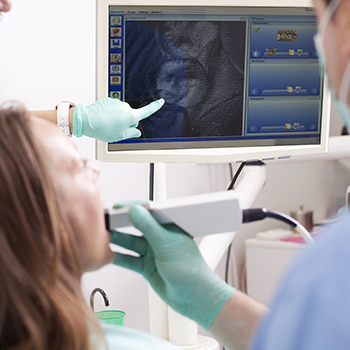 When a severe toothache strikes, root canal therapy is usually the right treatment solution. Your tooth has a vulnerable center known as the pulp, and if an infection or bad injury exposes it to dangerous bacteria, it can have dire consequences. During this procedure, Dr. Young will access the area and remove all of the existing pulp, thoroughly cleaning the tooth and replacing it with a safe, biocompatible substance. 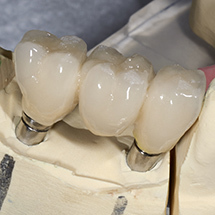 Once this is complete and the structure is sealed once more, a custom restoration placed on top can bring back the tooth’s natural shape and function – no extraction required. At Young Family & Cosmetic Dentistry, we strongly believe that it’s never too late to restore a smile back to its fullest potential. If your current dental problems are numerous and complex, Dr. Young may recommend full mouth reconstruction. This isn’t a singular procedure – it’s a personalized treatment plan that includes two or more services that have been chosen to match your unique needs, level of time commitment, and personal budget. By creating this plan ahead of time, our team can ensure the smoothest process possible, giving you back your strong teeth, healthy gums, and functioning jaw.